Not counting the Final Fantasy 8 and 16-bit ports, great role playing games on the iOS platform (iPhone and iPad) are extremely rare – and by rare I mean they just do not exist. But then I came across Battleheart Legacy, a highly rated iOS RPG sequel from Mika Mobile that turned the downtime on my recent vacation into an amazing mobile gaming experience … until I got to the end of the game. While BH Legacy is a blast to play, and a pleasant surprise when compared against the rest of the iOS RPG library, there are just too many fatal flaws that sadly makes me never want to pick up this game again. Over the past fourteen splendid months here at SQ we’ve brought you only the best, filtered iOS games for your iPhone, from the addiction that was Pixel People all the way to my current action-RPG fave Wayward Souls. This evening however I present to you a different game – Bill Killem – which is not only a phenomenally addictive, and just downright fun retro platformer that’s part Contra and part Majora’s Mask, but something else. It’s freakin’ free! You’re quickly learning that Slightly Qualified likes all things pop culture. Throw in military videos and gaming panache, and we’re probably one of the more eclectic websites you’ve had the pleasure of viewing. We’re a diversified portfolio of interweb goodness. Raffman posted about a crossfit chap who did 106 – scratch that – zero pull ups at once. He also talks about a 500 lb bomb that almost hit the wrong soldiers. Raffman also discusses a few iOS games like Knifehand and Wayward Souls. And to keep us in touch with our memes, he collected all kinds of fun ginger and Canada pics for your perusing enjoyment. Make sure you don’t miss out on Bill Murray impersonating Harry Caray either. I had fun writing about some Pandora stations you probably should be listening to. We’re still quoting from these five movies and cannot, for the life of us, stop it. Technically, these were from last week, but make sure you pick up the new Black Keys album Turn Blue and three minutes of your life is a small price for watching Eric Bana in the Deliver Us From Evil trailer. Our friends at Linkiest are covering everything from athletes to unicorns. LFGdating remains the only dating site for the gamer/geek/nerd in you. And Clumsy Crooks catalogues all things insanely stupid about criminals and their inability to do their job well. Listen up Marines: sit, kneel, bend, or do whatever you have to do to keep yourselves awake for this brief, because it pertains to that rampant boredom naturally overcomes every single one of you after hours upon hours of standing by to stand by. Just recently I came across a new iOS game developer – a former Marine – who makes iPhone games specifically for us. The game development company’s name is SgtBit, and the game I present to SQ Company, 1st Civ Div is KnifeHand: an addicting, but simple side scrolling platform runner in which you run across mud rooftops in Afghanistanimationland in nothing but skivvies, police calling as much as you can along the way while avoiding NJP’s and some guy named Jody (creator’s name, perhaps?). Can you beat my high score? Probably not; more details and the official SQ KnifeHand High Score challenge below! So while Tebo wanted a new Soulblazer (who doesn’t? ), I did come across quite possibly the next best thing: Wayward Souls. If you’ve got an iPhone, have a borderline obsessive affinity for SNES-era action RPGs, and/or just looking for a great new iOS game, then look no further than Wayward Souls. Seriously. Direct your mouse to the link below for our full game review! Have you ever felt a little overwhelmed with the ridiculous amount of volume in the Apple App Store when searching for a new go-to iOS game? You aren’t alone – there are countless rehashes of essentially the exact same game, whether it’s a running side-scroller title or name-the-new-RTS game, they are basically the same old thing under a different coat of paint. Once you jump into it the new paint begins to fade and boredom sets in; minutes or hours later the game is deleted, and it will probably be even longer until you visit the store for yet another fruitless search. That’s where SQ comes in: we weed through the metric truckloads of garbage apps to find you the best of the best – free and paid – so you can spend your hard-earned free time enjoying only the best high quality iOS games and apps. Our latest gem just happens to be the iOS game of the week, and although the store’s “game of the week” doesn’t always impress, Monument Valley does. For the past year here at SQ we have highlighted some of our favorite, and the mobile gaming industry’s favorite iOS games, from Ridiculous Fishing (2013 GOTY award winner) to Mutant Mudds. One game that we have not mentioned however, is a dangerously addictive title called Pixel People. Released almost a year ago on January 31st, 2013, Pixel People is a very cool cross between Sim City and The Sims, and has garnered an immense following on the App Store with some excellent reviews. Is it a great game? Yes, phenomenal even – but I had to recently banish it from my iPhone for one huge reason with the game’s design. It was a sad day, but a necessary one. Hit the linkage below for the full break-up letter. 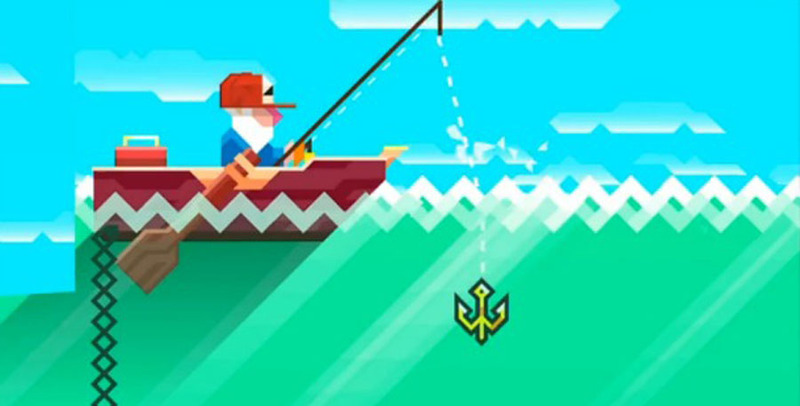 If you still haven’t heeded our advice in regards to Ridiculous Fishing, which was just recently awarded Apple’s prestigious 2013 Game of the Year award, what in the world are you waiting for? Allow me to emphasize the fact that more than seven months since we first posted about the ridiculous awesomeness that is Ridiculous Fishing, we are still playing and enjoying this game. Hit the link below for more on the award, as well as for details on which title brought home the iPad Game of the Year hardware. Out of the four of you that read this site, who remembers the old school cell phone and TI-83 calculator game, “Snake”? Remember that pixelated game of addiction, or am I alone on this? Well since my high school math days in Algebra I, video games, and calculators have come along way. Now kids are playing on iPhone 5’s and Samsung Galaxies in junior high math class, when I didn’t even have my first cell phone until I was a sophomore in college, but I digress. Fast forward to just a few weeks ago, when I dropped a measly $.99 cents on an intriguing little iOS/Android game called, “Nimble Quest”. If you couldn’t guess by the post title, we like this one – a lot. Hit the link below for more on this awesome electronic addiction. With the American media dominated by CNN and Fox News, many of us turn to other country’s news outlets for a more objective approach to not only what goes on over in our hemisphere, but throughout the entire world. 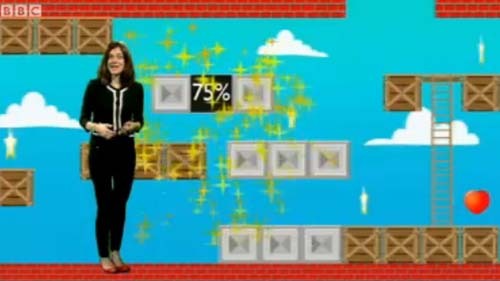 So like many Yankees (or White Sox fans; no offense, New York), I have news sites like BBC in my regular web rotation; it is through their recent technology news archives that I come across this incredibly interesting news story: gaming experts in the UK are predicting that by the end of the 2013 calendar year, the majority of British gamers will be female. Shocking? Yeah, I would say so. Hit the link below for the full report! I am pretty damn picky when it comes to iPhone/iOS games and apps; Mutant Mudds was the last game that really got me hooked, and I still find myself running back through those 3D levels in a vain attempt to reach 100% completion (get back to me in a few years). Although I have a track record of downloading many different iOS games on my iPhone 5, the majority get deleted either right away, or within a day or two at the latest. Ridiculous Fishing is one of those rare, insanely addicting iOS games that has made its way onto my iPhone, and I can’t stop playing it. And for only $2.99 in the App Store, this game is absolutely well worth it. More details on why we like Ridiculous Fishing after the link. Before ya’ll (I’m now a Texan so I’m allowed to say that) bash yours truly for being epicly late to the proverbial party on this post, let me state that I don’t care. I am an emphatic gamer, and I have only just recently opened up to the intriguing world of iOS games. Aside from the slew of awesome ports that have made their way to the iPhone app store (Final Fantasy Tactics = awesome), I haven’t found much that I’ve honestly enjoyed for more than five minutes. The endless running games don’t do it for me, and I’ve been all Angry Birded out for months now. But then something happened: I came across a platformer called, “Mutant Mudds”, and it has really brought me back.